Clean CARFAX. CARFAX One-Owner. 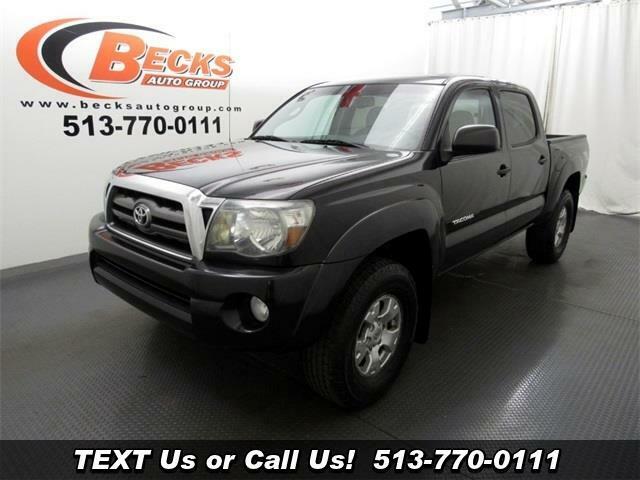 2009 Toyota Tacoma V6 Black 4WD 5-Speed Automatic with Overdrive 4.0L V6 SMPI DOHC 4.0L V6 SMPI DOHC, 4WD, ABS brakes, Electronic Stability Control, Low tire pressure warning, Traction control. Odometer is 8850 miles below market average!